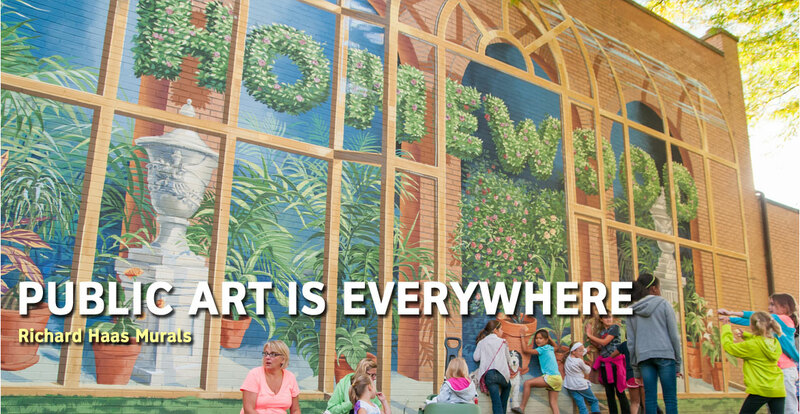 In addition to a unique and quaint downtown area, Homewood now boasts the largest collection of Richard Haas murals anywhere in the world. Haas, a world-renowned painter specializing in large, hyper-realistic art that creates the illusion of the depicted objects existing in three dimensional murals. This style is called Trompe-l’œil, meaning “deceive the eye” in French. The 15 murals are scattered throughout downtown Homewood and along the Dixie Highway. Nine monumental murals dot the landscape along the 25 miles of the Lincoln Highway in the Chicago Southland. Created by the Illinois Lincoln Highway Coalition, the murals are part of one of the largest public art installations in the country. 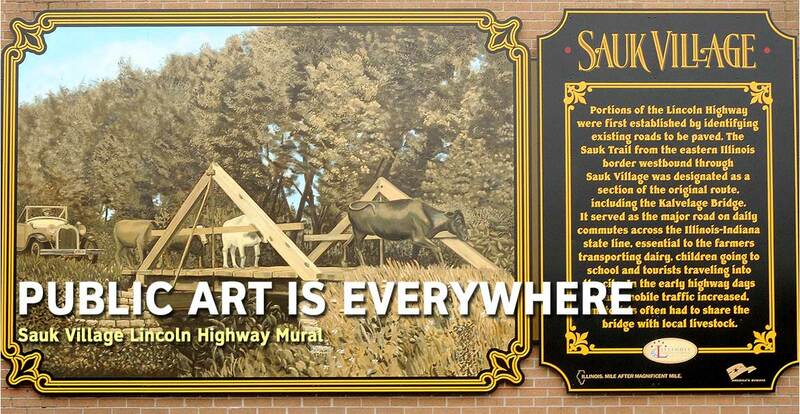 A total of 35 murals are featured along the 179–miles of the Illinois Lincoln Highway. The murals tell the stories, history, heritage and events of Lincoln Highway history. Step into the wild prairie swales on the campus of Governors State University in University Park and experience monumental sculptures in the Nathan Manilow Sculpture Park. 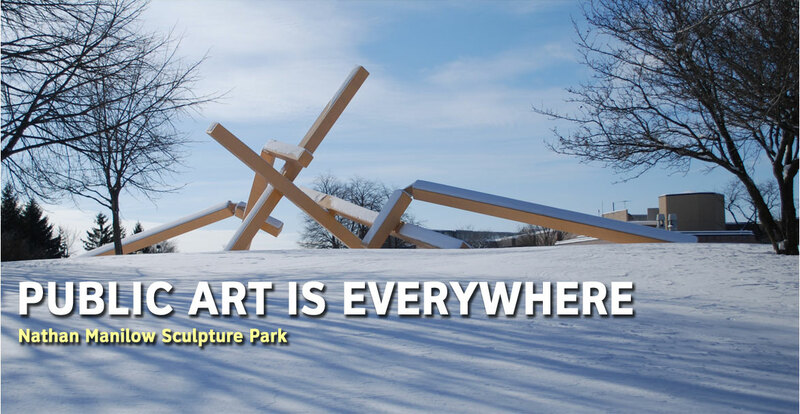 29 sculptures dot the landscape ranging from smaller sculpture of limestone to 30+ foot tall fiberglass sculpture of Paul Bunyan to the Bodak Arc, a piece of land art that is best seen from the air. The park is open dawn to dusk year-round and free parking is available for visitors on campus. Take a seat and enjoy the Benches on the Avenue! Don’t forget to check out the 20 handcrafted wooden benches along Oak Park Avenue in beautiful downtown Tinley Park. The colorful benches feature the work of both amateur and professional artists, and provide spots to rest while strolling through town. The benches are on display from mid-May to October 1st. Past themes include Fairy Tale Festival, America the Beautiful, Hooray for Hollywood and Benches in Toyland. Public art is everywhere in the Flossmoor. 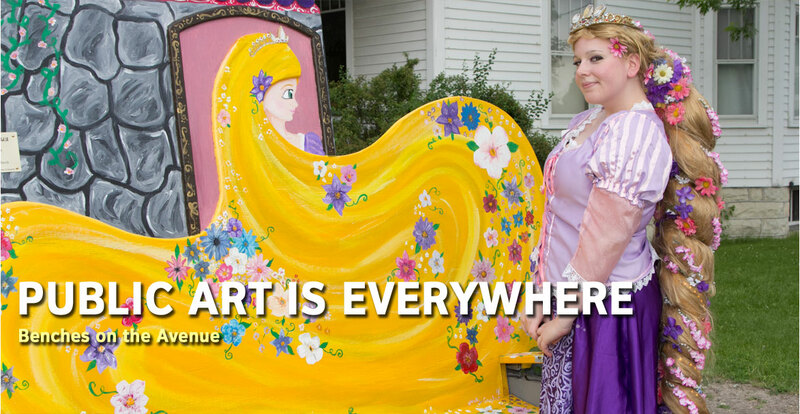 Along charming residential streets, sculptures are spread throughout the village including the town square and the Flossmoor Garden & Sculpture Park. Eight permanent pieces and a rotating collection of exhibits in this evolving sculpture collection makes you want to keep coming back. Just one block west of the downtown Palos Heights business district, the Art Garden is a great escape from the hustle and bustle of shopping along Harlem Avenue. The garden features several sculptures from local and national artists and two murals. 14 new sculptures from a private collection were recently added to the Art Garden, around Lake Katherine Nature Center & Botanic Garden and at various locations in Palos Heights.